India: Land of the Bengal Tiger – The Great Canadian Travel Co.
Bengal tigers are a highly seductive class-A predator; they are also desperately endangered. Seeing one in the wild is intoxicating! Prices are shown in CA$, per person based on two people sharing a twin room, one person in a single room. Some dates have slightly higher prices than those shown. Please inquire for the rate that pertains to your date of choice. Those who are on the group flights will land in Nagpur in the afternoon. Those not on the group flights will need to be at Nagpur Airport by 16.00 in order to meet the group prior to the onward transfer. In the late afternoon your adventure really starts, as we drive to Pench National Park, a journey of approximately 3 hours. Pench National Park, nestling in the lower southern reaches of the Satpuda hills is named after Pench River, meandering through the park from north to south. The undulating terrain of Pench is covered with small hills and well stocked Teak (Tectona Grandis) forest. Pench is one of the tiger reserves included in Project Tiger. Besides tiger, there is a huge array of other wildlife such as leopard, monkey, deer, nillgai and bird life. Together with the scenery, the game drives will make for a fascinating and exciting days. During our time in Pench we include 4 game drives in the itinerary. 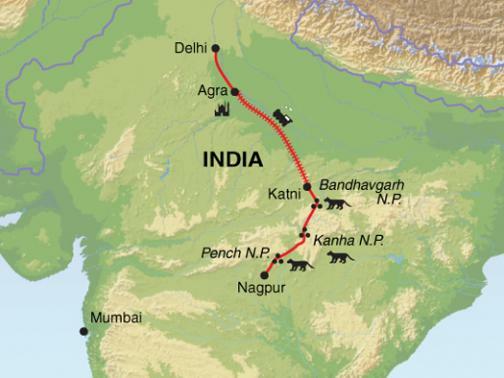 We depart in the morning and drive to Kanha National Park. Although the distance is not far, the journey usually takes approximately 4 hours. 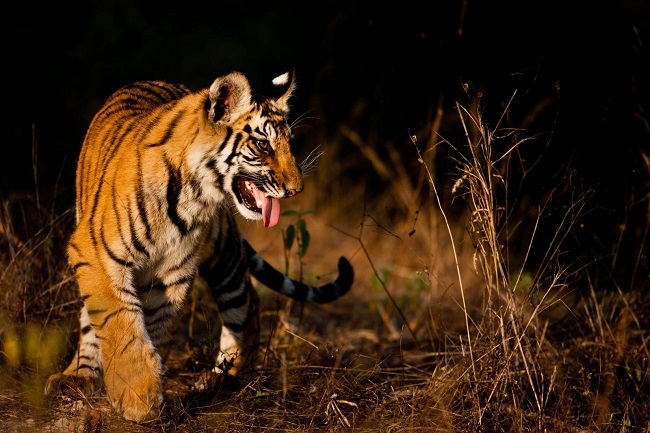 Created in 1974 and often described as India’s greatest wildlife reserve, Kanha is vast. Covering approximately 1,945 sq. km of undulating terrain, the elevation ranges from 450m to 900m with expansive grasslands, plateaus and dramatic rocky escarpments providing a home to literally hundreds of species of wildlife. The tiger population has been affected by poaching in recent years but the huge abundance of animals make the game drives a memorable experience. Kanha is an Indian wildlife park of the imagination whose atmosphere and apparently endless landscape can rightly be described as Kiplingesque. The park signifies the start of India’s attempt to protect the tiger and was the site of the first ever scientific study by the zoologist George Shaller. Nowadays the park is seen throughout India as a model for excellent wildlife management. During our time in Kanha we include 5 game drives in the itinerary. We leave Kanha National Park after breakfast and drive to Bandhavgarh, stopping en route for refreshments. This journey will take approximately 6 – 7 hours. On arrival, the remainder of the day and evening are at leisure. At only 437 sq. km. 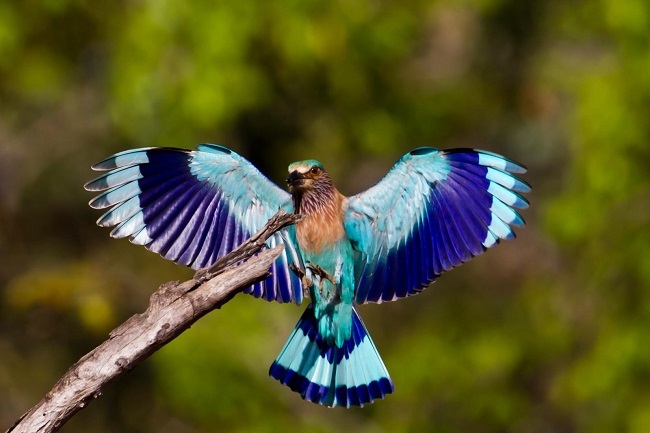 Bandhavgarh is one of the smaller National Parks and enjoys an impressive setting with a stunning cliff-top fort overlooking grasslands, birch forests and bamboo that provide cover for the plentiful indigenous wildlife. 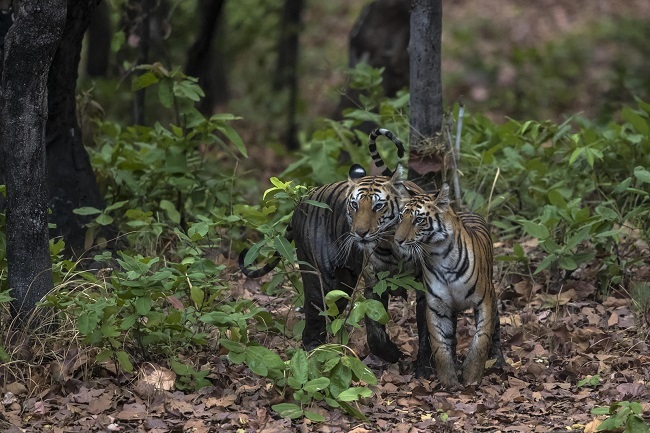 In common with many other parks, Bandhavgarh is home to a wide variety of game including leopard, sloth bear, gaur, sambar, chital, jungle cat, wild pig and of course tiger. The healthy population of approximately 60-70 animals means that this park has the highest tiger density of any of India’s reserves. Aside from the game and the tigers, the park also plays host to up to 150 species of birds including many on the migratory trail, such as the Steepe eagle. During our stay in this beautiful rugged national park the itinerary includes 6 games drives. This morning we drive to Katni Railway Station; this drive is approximately 3 hours. We will stop for refreshments, conveniences and any photo opportunities along the way. This evening we will catch the overnight train to Agra. Arriving in Agra in the morning we transfer to our hotel. 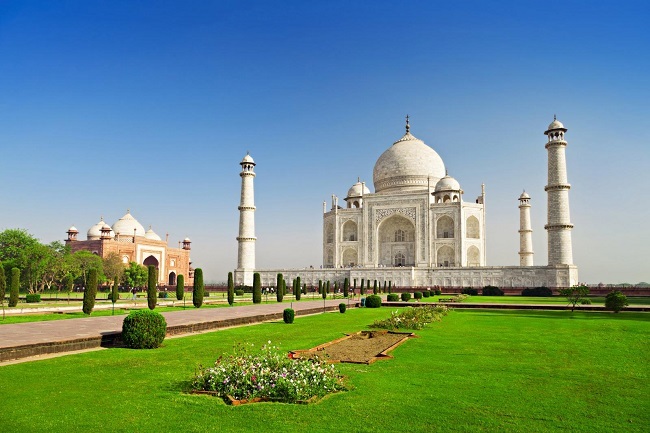 Of course, no stay in Agra would be complete without a visit to the beautiful white marble Taj Mahal, built by the Moghul Emperor Shah Jahan in memory of his beloved wife, Mumtaz Mahal, who died in 1631. The Taj is serenely beautiful and never fails to amaze a first time visitor; the white marble exterior changes colour according to the position of the sun during the day and is matched by the rich interior detail. 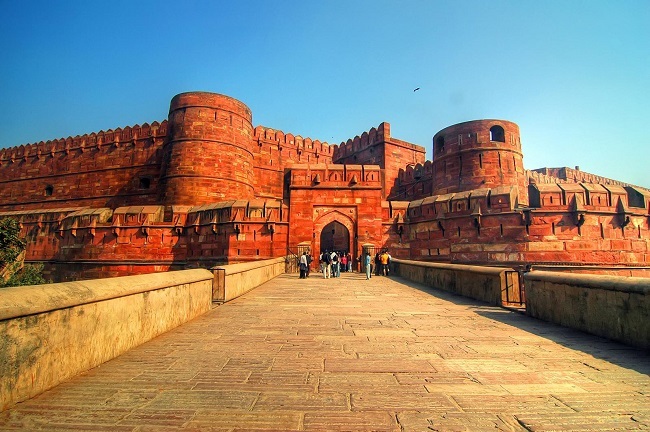 Within striking distance is the imposing Red Fort of Akbar, third of the Moghul Emperors, whose mighty sandstone walls enclose the beautiful white marble Pearl Mosque and the palaces, halls, courtyards and fountains of his sons and successors, Jehangir and Shah Jahan. It is here that the latter spent his last years, imprisoned by his own son Aurangzeb. After breakfast we will leave for Delhi. En route we will stop for lunch, and we will arrive at our hotel in the afternoon. You are then free to relax, explore the sites of New and Old Delhi (an optional sightseeing trip will be organised if you wish) or you can do some last minute shopping! The tour ends today with check-out from the hotel. Depending on the time of your flight you may wish to extend your hotel stay to allow for time to rest before departure, or add on a few days to explore Delhi. Bengal tigers are a highly seductive class-A predator; they are also desperately endangered. 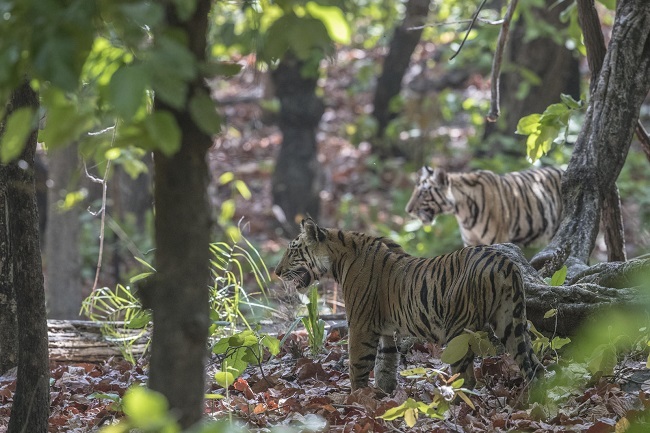 Seeing one in the wild is intoxicating, that is why this comprehensive safari visits three of the best parks in India for this striped cat. There are many other animals to enjoy, but tigers remain top of the agenda throughout this itinerary. Pench, Kanha and Bandhavgarh National Parks are teeming with a variety of wildlife and all have something different to offer. All are ideal for viewing both predator and prey, and with fifteen game drives included the chances of seeing the magnificent Bengal tiger are greatly increased.